Reverse Description: Boar right, wounded by spear and attacked by hound; in exergue, C·HOSIDI·C·F. Border of dots. 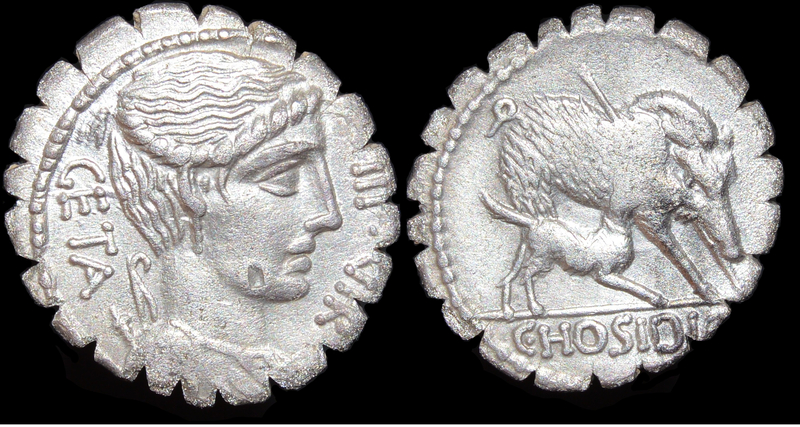 Notes: This is the scarcer denarius of this moneyer, featuring the same basic devices as the non-serrate denarius but in very different style.